Kingfisher Lead Flashing Sealant Paint for rapid easy repair of lead flashings, roof joints and leaks. Use this product to bond lead to concrete, brick and stonework. It possesses excellent elasticity on high movement joints. The failure of mortar used for pointing lead, brickwork and masonry is the most common reason for water penetration. This is because mortar is unable to expand and contract at the same standard as lead. Pointing can also crack in severe cases, allowing water to penetrate, which can result in dampness. This high-performance lead flashing sealant paint immediately waterproofs to seal leaks in most types of roof. Even in the rain, it instantly waterproofs and will not wash away while curing. It is outstanding for sealing leaking roofs, whether it is for flat roofs, slates or roofing felt and gutters. 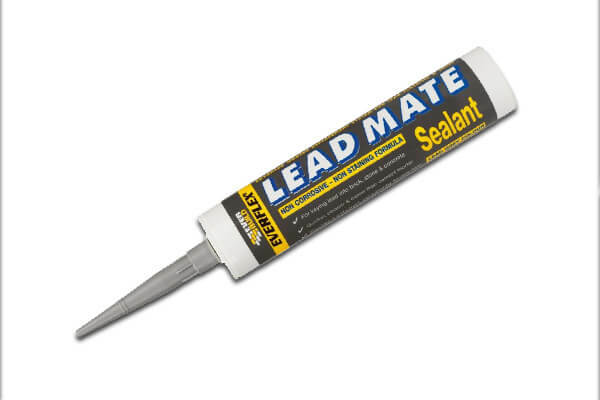 This lead pointing sealant was specifically developed as an alternative to mortaring lead flashing. It offers a comprehensive waterproof joint that is very durable. It can be easily applied using a mastic gun and ready to use with lead sheet and flashings. Ensuring protection against water penetration, this lead flashing sealant paint is long lasting. Our Lead Roof and Flashing Sealant is coloured grey to ensure that it blends in with lead work. 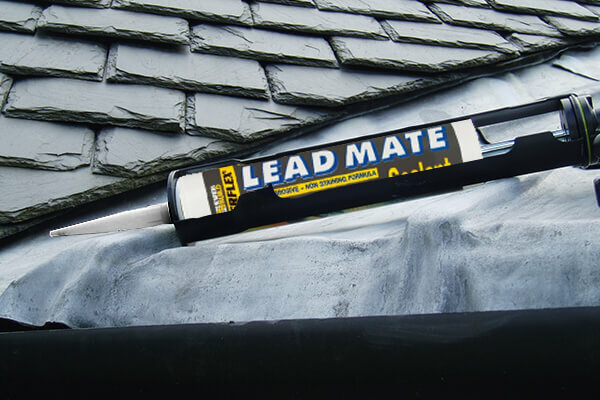 We take pride in providing only the highest quality lead pointing sealant products. Our enviable reputation from domestic and commercial customer offers peace of mind regarding the quality of our products. This is a very good product. Used it to stick down some old flashing. Worked as described.